The personality trait of grit (Duckworth, Peterson, Matthews, & Kelly, 2007) has traditionally been conceptualized and measured as a global or domain-general construct. The purpose of this study was to determine if grit is best conceptualized and measured as a domain-general construct or as a domain-specific construct (see Griffin, McDermott, McHugh, Fitzmaurice, & Weiss, 2016). To address this question, we sought incremental validity evidence to determine if domain-specific measures of grit could explain variance in domain-matched achievement-related criterion variables beyond the variance explained by a global measure of grit. A sample of 251 (102 female) intercollegiate student-athletes (M age = 20.34 years, SD = 2.0) completed three versions of Duckworth et al. 's Grit Scale: the original global (domain-general) version, a sport version, and a school version. 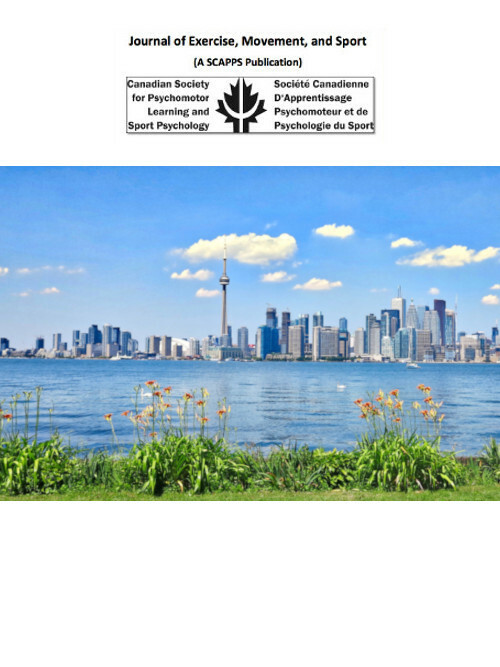 Participants provided their Grade Point Average (GPA) and completed a self-report measure of perfectionistic strivings and perfectionistic concerns in sport (see Stoeber & Madigan, 2016). Results of a hierarchical regression analysis indicated that the school measure of grit explained an additional 20% of the variance in university GPA beyond the variance explained by the global measure of grit (p < .001). Results of a second hierarchical regression analysis indicated that the sport measure of grit explained an additional 3% of the variance in student-athletes' perfectionistic strivings in sport beyond the variance explained by the global measure of grit (p < .05). The results provide incremental validity evidence supporting the domain-specific conceptualization and measurement of grit in academic and sport settings.